Home » 2013 » cinco de mayo » ibrd » international barefoot running day » may 5 » surfing » International Barefoot Running Day! Kick Off Your Shoes and Run Like a Child! 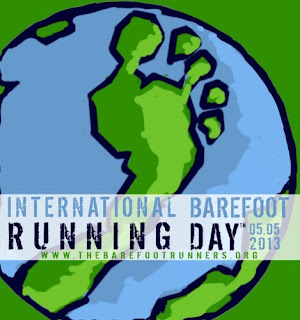 International Barefoot Running Day! Kick Off Your Shoes and Run Like a Child! Yes, there is in fact an official International Barefoot Running Day, and this year it happens to land on Cinco de Mayo! The day was created by the Barefoot Runners Society (BRS) three years ago to encourage people to try barefoot running with fun events, workshops and races. Most of the races are very short, usually between 1k-5k, and they're often accompanied by running clinics and experienced barefooters teaching techniques and the benefits of shedding your shoes. If you don't want to go totally barefoot, the BRS also welcomes minimalist shoes with open arms. To find out if there are any events in your area this weekend, check out the pages for the society's regional chapters. 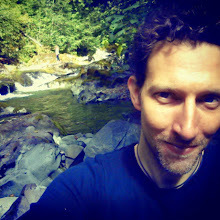 Our local Oregon chapter has organized a meeting in downtown Portland to answer questions and concerns regarding barefoot running, to demonstrate running form and to participate in a fun run around the city's beautiful waterfront and trails. Sadly, I won't be able to attend, as I will be embarking on an epic surfing adventure this weekend. Well, "sadly" may not be the right word because I love to surf almost as much as I love to run, though it happens much less frequently. I do promise to get in a little barefoot running along the beach. The Barefoot Runners Society is an organization with over 5,000 registered members and 80 chapter clubs located around the globe. Its mission is to educate the public about the health benefits of barefoot and minimalist running and to dispel myths in the process. The BRS website and forum are dedicated to promoting barefoot and minimalist-shoe running and providing resources and support for interested runners. For more information, visit www.thebarefootrunners.org.